The Alpine Carbon Cork from Black Diamond is a lightweight, versatile and ergonomic trekking pole. Thanks to BD's use of carbon, the pole is nice and light and perfect for multi-day adventures. Regardless of whether you're trekking through snow, rock or dirt, the Alpine Carbon Cork from Black Diamond will serve you well. 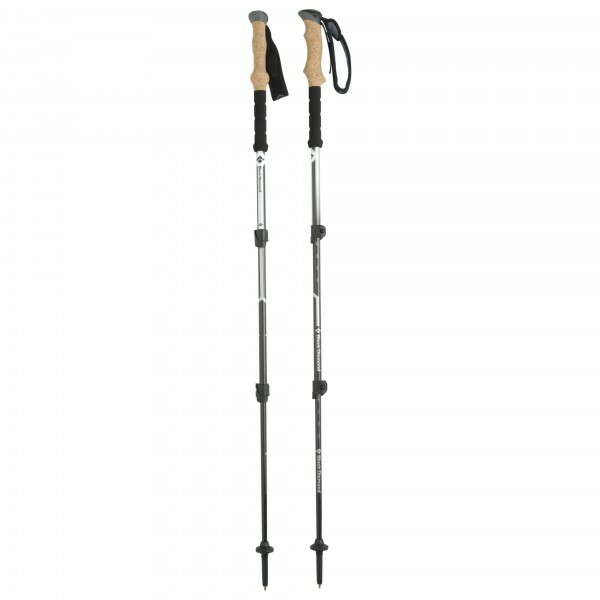 It comes complete with interchangeable trekking and powder baskets as well as replaceable carbide Techtips, making the poles suitable for just about any terrain. The grip is made of natural, moisture-absorbing cork with a dual-density top and a non-slip EVA foam grip extension. Plus, the pole comes complete with the FlickLock Pro adjustment system, which makes adjusting the length extremely quick and easy. The Alpine Carbon Cork from Black Diamond.